Being a huge horror/slasher film, I was lured in by the great DVD box art and the blurbs on the back cover or the DVD by so-called horror critics declaring this film "the best low budget horror flick in years." PLEASE!!! I really question how many films these people have actually seen OR how much money the producers of this flick paid them to say these positive things! Believe me folks...this film is A-W-F-U-L!! If you are truly a horror fan, you will have a hard time developing a list of recent horror flicks that are worse than this one. This film is absolutely horrendous and the fact that there are people out there who claim that it is good should frighten us all. The plot is absurd and centers around a trio of cheerleaders who stumble across the house of a supposed serial killer, who is apparently called "Andre the Butcher." I say apparently because absolutely ZERO background is given to the killer or his motives for killing. And the house, despite being the residence of an apparent cannibalistic serial killer, is actually quite cozy and tidy. Nothing at all scary about it at all....it could be your grandmother's house, for crying out loud! The filmmakers could have at least made the house creepy to add tension or realism. The ridiculousness in the fact that the cheerleaders simply go into the house and basically start living there (they were suppose to be looking for a phone to call for help) adds to the stupidity of the plot. Secondly, the acting is atrocious from EVERYONE involved....the cheerleaders are terrible and are quite out of shape and homely. The lighting and direction are strictly amateurish in every sense of the word. There are shifts in the picture color and contrast throughout the entire film. Ron Jeremy makes for a terrible killer and an obvious body double is used for him almost the entire film--it's obvious because the body double is twice the size of Jeremy and wears a silly looking black curly wig. I am not making this up. I understand this is suppose to be more comedy than horror, but tell me what is funny AT ALL about this mess? And why try to appeal to horror/gore hounds with the box art when the gore and murders in the film are all very mild and fake looking? If you can even make it through the opening scene of this film, which is absolutely terrible, you deserve some sort of prize, which will undoubtedly come in the form of you witnessing the end of the film, which is even more ridiculous than the beginning. 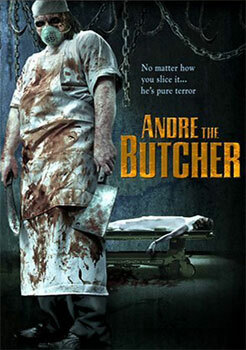 This is seriously one of the worst attempts at a horror film I have seen in at least 5 years. Watch at your own risk.